Strategically located in the fertile Jezreel Valley in Israel's Galilee, the site of Jezreel has been occupied almost continuously from the late Neolithic period (ca. 6000 BCE) to the present. Recent surveys and excavations at the site sponsored by the University of Evansville, IN, and the University of Haifa, Israel, have revealed numerous agricultural installations cut into the limestone bedrock in the vicinity of Jezreel, including a large, well-preserved winery complex in use from the Iron Age to the early Roman period (ca. 9th century BCE-1st century CE). This presentation will describe ancient wine-making technology and wine's economic and cultural significance in the region and consider the possibility that the Jezreel winery inspired the story of Naboth's vineyard in 1 Kings 21. 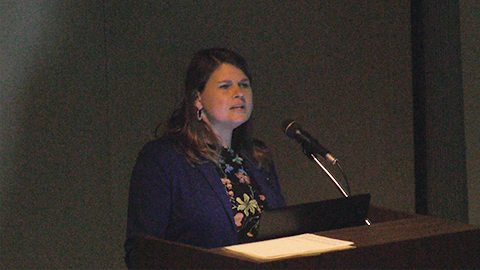 This lecture was presented by the Archaeological Institute of America--Toledo Society and the Toledo Museum of Art.